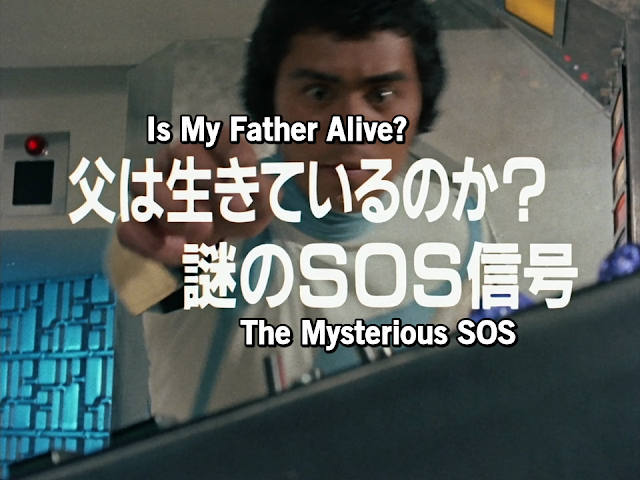 Gavan receives a distress call from an unknown Space Sheriff on Earth. The only known operatives on Earth are Gavan, Hunter Killer, and Gavan's father, Voicer. Is this an elaborate trap by Hunter Killer or will Gavan finally meet his long lost dad of 20 years? Click 'Read More' to read the full summary. Overall Opinion: Watch for lore. Nothing significant or cool happens during the episode. The Makuu finally try to kill Gavan by using guns instead of knives. 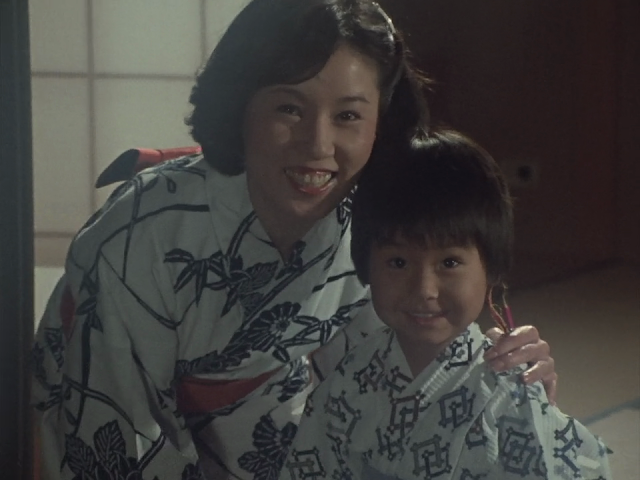 The episode begins with a cold opening of Gavan as a young child, preparing to light fireworks with his mother. After two minutes of whimsical music playing in the background, Gavan wakes up and realizes that it was a dream from his youth. His father went missing on that day, never to be seen again. That is until twenty some-odd years later, when Gavan picks up a distress call by an unknown Space Sheriff on Earth. After consulting with Commander Qom, they guess it could either be Voicer, Gavan's father, or Hunter Killer. Only those two should know the secret frequency used to contact fellow Space Sheriffs. Determined to learn who sent that signal, Gavan and Mimi go off on foot to find it. To immediately ruin the plot, Hunter Killer addresses Don Horror, the Makuu leader, that his trap for Gavan seems to be working. 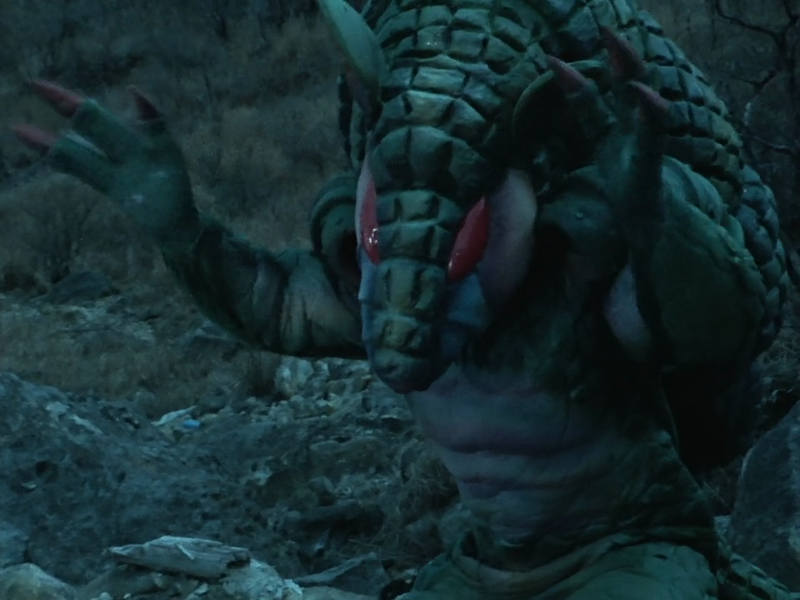 Gavan sets off several traps and in the process of fending off some Makuu thugs, finds a hot babe woman being attacked by the Makuu. He quickly saves her and the lady reveals that she is also tracking the distress signal, hoping to find Voicer. Her father was working with Voicer to develop a weapon called the Plasma Emitter to stop the Makuu. It is a weapon so powerful that it can destroy the Earth with just one blast. 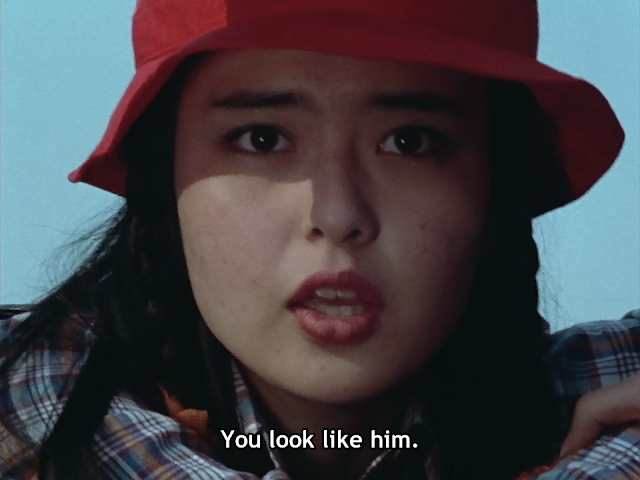 Gavan takes her signal tracker and takes her to a safe location before heading off by himself. Listen, lady, whatever you think I look like, as long as it gets me to at least second base, I am. No wonder the Makuu didn't use guns until now; they are worse shots than Stormtroopers. If it ain't clear by now the writer has run out of ideas, I don't know what will. Why would they give a plot hook of potentially finding Gavan's dad only to remove the mystery in less than a minute of the discovery? 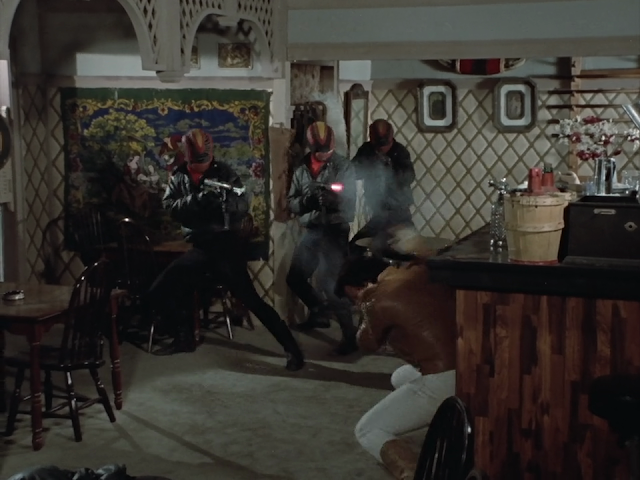 That and the use of a Wild West town as the trap for Gavan was dumb. It looked cool, but didn't match the theme of the episode. At least they tried with Armadillo Monster being apart of the Wild West town. The episode was a hot mess, but does contain important information that'll likely be referenced in future episodes. The combat scenes were fresh compared to the usual fight scenes, but were so disjointed that it lacked the impact and serious tone that it should have given. I'd barely recommend watching this one if it wasn't for the lore being in this episode. The gun scene was hilariously bad and that is about it for the show.